Naikoon Park is located on Graham Island in the Queen Charlotte Islands in British Columbia, Canada where you will find a unique mixture of rainforest plants. 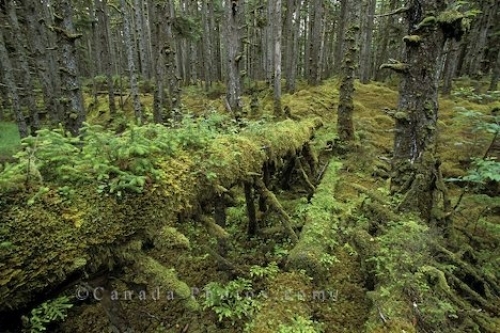 Moss covered trees and fallen logs are just a few of the spectacular features in the rainforest of Naikoon Park in British Columbia. Picture of the rainforest plants in Naikoon Park in the Queen Charlotte Islands in British Columbia.